Law Blog | Voelker & Associates P.C. Wouldn’t it be great if all those customers would have paid you for your hard work like they were supposed to? This time of year, we see a lot of business owners trying to wrap their minds around their accounts receivable report. How could so many of those customers have bailed on their payments to you? After all, they wanted your services or goods. You provided it to them at a fair cost as promised. 1. The amount of money that is due and owing. Again, suing your customer at the magistrate’s office over $200 might not make sense when you factor in all the costs of that suit. 2. The written or oral contract (or lack thereof, in which case, you ought to consider having a contract drafted to avoid the situation where you do not have one to back up your claims). Do you have a written contract with the customer? Are you required to by any law? Does that contract allow for recovery of your attorney and legal expenses? Did you fulfill all of your obligations under the contract? 3. The costs associated with collection. Attorneys, as you know, cost money. And suing someone costs more than just your attorney’s fees. 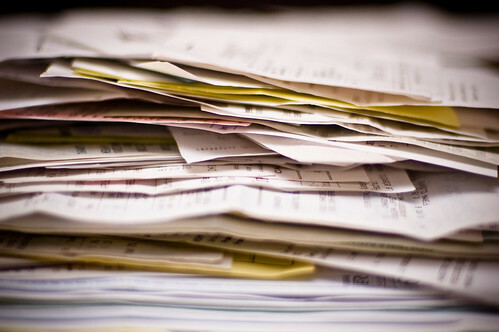 You will likely have costs associated with filing and serving documents, as well as your valuable time and resources. And as you know, time is money! 4. Your history and relationship with the customer. Is this a long-time customer with whom you have a trusted and loyal relationship who, perhaps, has simply hit a rough patch? In that case, a gentler, nudging approach might be used to preserve your relationship with this client. Conversely, is it a newer client who simply ran up a bill and now won’t bother to return your calls? In this case, a more aggressive approach may be appropriate. 5. How much makes sense to spend to collect this money? The course of action that we suggest may be to just “keep at it and call them until you get paid” or may be as extreme as “Let’s get the litigation started and be prepared to end up at trial.” But often times, what’s best for you will fall somewhere in the middle. We make sure to meet with our clients to understand their goals in their collection efforts prior to making any suggestions. Of course, everyone’s goal is to reduce collections and increase cash flow. Stay tuned for tips on how to avoid accumulating noncollectable accounts receivables!